The Garifuna of North America are immigrants who are descendants of Africans who intermarried with Carib peoples (specifically, a mixture of West African, Central African, Island Carib, and Arawak peoples). In colonial times, the French and British brought African slaves to work on their holdings in the Caribbean, and some of these slaves then intermarried with the local populations. The British colonial administration used the term Black Carib and Garifuna to distinguish them from the Amerindian population that did not intermarry with Africans. 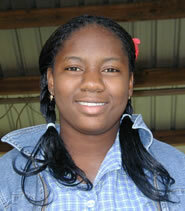 Outside of North America, the Garifuna live primarily in Central America. They live along the Caribbean Coast in Belize, Guatemala, Nicaragua, and Honduras including the mainland, and on the island of Roatán. There are also Garifunas in Puerto Rico. For Garífuna, the politics of diaspora are complex because they have several different homelands and different relationships to them: from the mainly symbolic relationship to Africa and St. Vincent to the more immediate relationship to various countries in Central America. The diaspora community of Garifuna in the United States is the second largest hub of Garifuna people outside of Central America, and is concentrated in New York City, Los Angeles, Miami, and other major cities. New York has the largest population, heavily dominated by Hondurans, Guatemalans and Belizeans. Los Angeles ranks second with Honduran Garifuna being the most populous, followed by Belizeans and Guatemalans. The Garifuna language is an offshoot of the Island Carib language, spoken in Honduras, Belize, Guatemala, and Nicaragua by the Garifuna people. It is an Arawakan language with Arawak, English, French, and Spanish influence. Almost all Garifuna are bilingual or multilingual, speaking both English and Garifuna, as well as the official language of the country from which they immigrated. Many Garifuna practice a syncretization of Cultural Catholicism mixed with traditional beliefs held well before their conversion to the Catholic faith. A shaman known as a buyei is the head of all Garifuna traditional practices. The religion has some similar qualities to the voodoo rituals performed by other tribes derived from Africa. However, there is a growing evangelical community among Garifuna. Pray for Garifuna believers to boldly proclaim the gospel to their people wherever they may be found. Pray for Garifuna believers to catch a vision for reaching other people groups, both around them, and around the world. Pray for more workers for the harvest, both for the Garifuna in the United States, as well as those in the Caribbean and Central America.